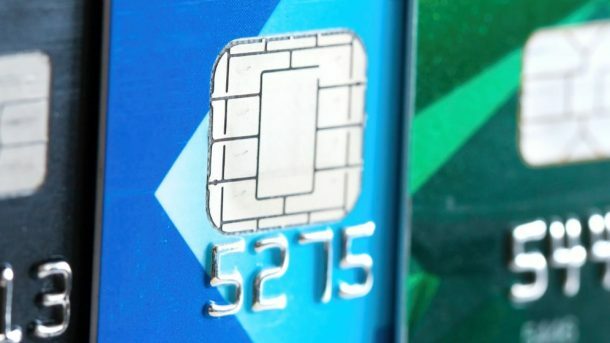 If you’re like most businesses, you already accept chip-based credit and debit cards. If, however, your business is not EMV compliant yet, there might be some serious consequences in your future. Financial services company TSYS (NYSE:TSS) has created an infographic for the National Federation of Independent Business to explain why companies need to become EMV compliant. 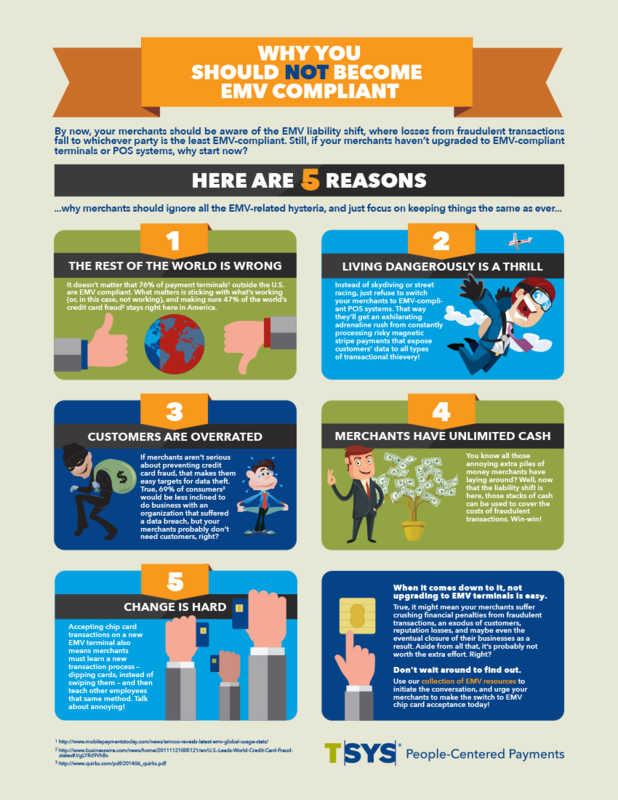 The infographic presents five intentionally silly reasons to put off becoming EMV compliant — to make a point. The infographic also includes the important data to back up why such compliance is absolutely in your business’s best interest. 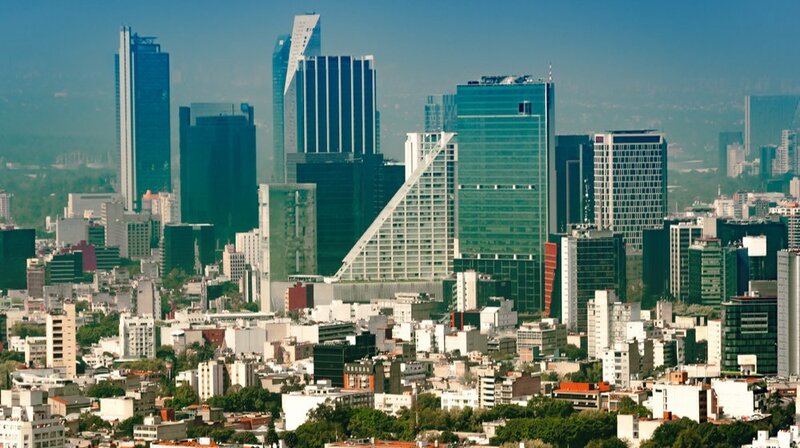 Data reveals 76 percent of payment terminals outside the U.S. are EMV compliant. But apparently that’s still not a good enough reason for some businesses to switch. By not becoming EMV compliant, you also run the risk of exposing confidential customer data to hackers and cybercriminals. Chip-based cards make transactions safer for you and your customers. Did you know 69 percent of consumers are less inclined to do business with an organization with a history of data breaches? In other words, if you are not serious about preventing data theft, you will lose business. This gives you another good reason to switch over to EMV cards. Fraudulent transactions cost businesses dearly, especially smaller businesses. So, unless you have an unlimited source of funds for your business, it’s in your business’s best interest to prevent data thefts. Accepting chip-based cards is also quite simple. Instead of swiping a chip card, customers insert the chip into the point-of-sale terminal for the entire duration of the transaction. Surprisingly, despite this, many businesses continue to not accept EMV cards. (POLL) Do You Still Use Business Cards?